Reproduction rights for Social Media Campaigns are granted exclusively to schools with a site license for MyWorldAbroad. The concept of nudging (sending multiple short, encouraging messages consistently over time) is a proven technique, and one that is currently gaining many followers in higher education and government institutions around the world. When used in a consistent and targeted way, social media can ‘nudge’ students towards achieving outstanding results. 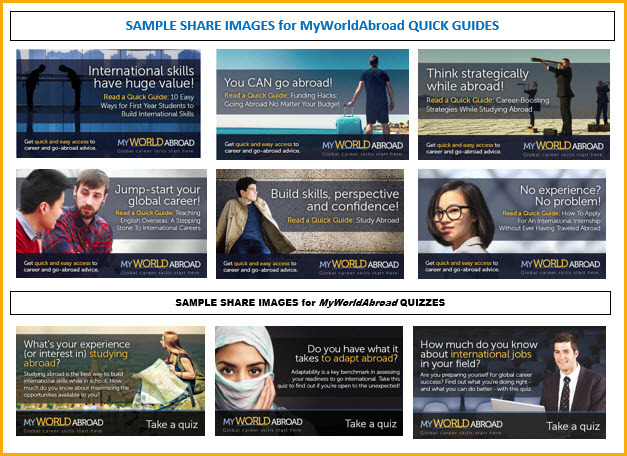 MyWorldAbroad's new Global Nudge Social Media Campaigns are fully-developed, year-long social media schedules loaded with content and messaging designed to encourage, inspire and inform your students with cross-cultural and global career advice. Campaigns include inspiring quotes, calls to action, links to MWA content, holiday & observance messages, and more. 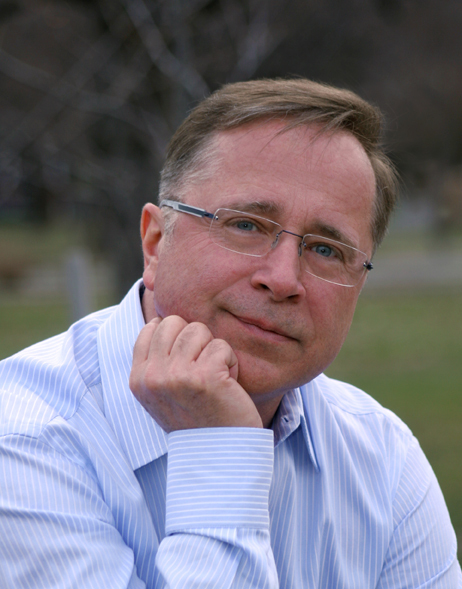 Global Nudge Campaigns SAVE TIME and are SIMPLE TO IMPLEMENT. Enjoy the benefits of nudging your student population via social media, with a minimal amount of effort. In less than four hours, you or a staff member can load a full six months of social media messages into Facebook. For even more speed and impact, use the Hootsuite social media management tool, and load a year's worth of messages on multiple social media platforms in less than 30 minutes. Finally, we offer a range of mini campaigns for those who want an ultra-quick solution (see below). Managers will appreciate reading these fundamentals. See our Ten Quick Tips for Managing Social Media in Your Office. Check out our Power Point presentation, How We Created a Nudging Plan! For quick instructions and to see a sampling of our shareable images: view English version or French version. CHOOSE & DOWNLOAD one of our year-long campaigns (Excel file) and customize as needed. If your institution uses Hootsuite Pro, or another social media management platform, contact jmhachey@myworldabroad.com for .csv files for easy preloading. How to download: STEP ONE: Click a filename from the list above to download the Excel file. STEP TWO: Save the file to your computer, using the "download" option. How to download: STEP ONE: Click the filename above to download .zip file (note, most browsers save files in the "Download" folder). STEP TWO: Move the .zip file to the desired folder. Unzip the file by right-clicking the file name and choosing "Extract." Want the QUICKEST SOLUTION? Try a mini campaign and choose from 12+ top messages. Our ultra-simple mini campaigns include a selection of unscheduled, standalone messages and images to use at your convenience. 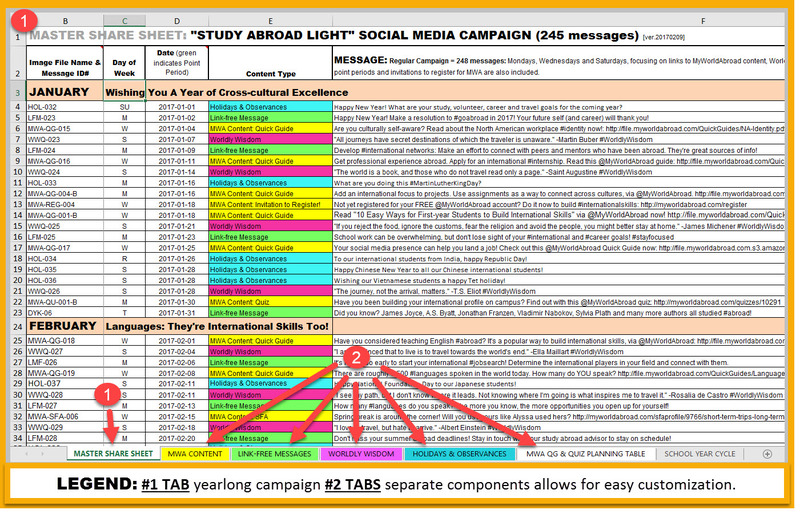 Five separate mini campaigns have been designed for career centers and for study abroad offices. Use one message, or use them all -- it's up to you. Access a pdf file containing our Mini Campaigns: view English version, or French version. WE'RE HERE TO HELP! Most likely, your office is already making use of social media. Our campaigns are designed to be fully customizable to meet your office's unique needs. We would like to hear your issues and suggestions, and find solutions. Once you've submitted your changes, MyWorldAbroad will then create sample templates and forward them for your review. After approval, your customized footers will be applied to all GNSMC images (300+ images) and a .zip file containing all images for your selected campaign will be provided. This process can take 5 to 10 days. Once your templates have been customized, you can share them via your social media streams in any way you like: on their own, in conjunction with Global Nudge Social Media messages, or combined with your own messaging.